For all readers -- I wish there were billboards along the highways that said "If you have just inherited a retirement account see an expert NOW." I see too many clients who have overlooked what can be a big tax obligation by not paying attention to the rules about inherited retirement plans. Watch out for these mistakes, IRA heirs! 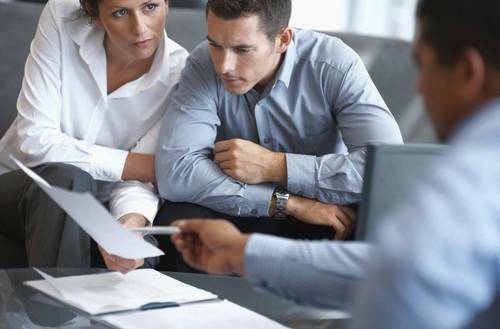 www.kiplinger.comNonspouse beneficiaries who inherit an IRA should watch out for these common pitfalls. My wife and I are retired and have medical coverage from an employer plus Medicare Part A. What criteria should we use to determine if we should add Medicare Part B? Calling Medicare or the employer insurer only gets half the story from each and it is hard to put the two together. Martha, annuities vary greatly and there are so many products out there. I'm not sure exactly what you are referring to. I rarely use annuities for clients EXCEPT when they want to guarantee a stream of income into the future. If so, we look a single premium fixed annuities. 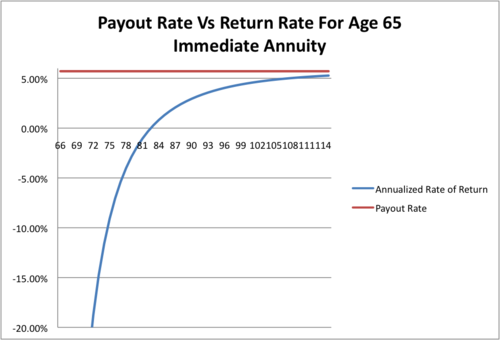 In this type of annuity, you are not using the annuity as an investment vehicle. Rather you exchange a lump sum for a stream of payments. Several things to note: 1. The older you are, the larger the payment you will get. 2. The better the interest rate environment, the larger the payment you will get....and as interest rates are currently SOOOO low, it might not be a good time. 3. Most payments are flat and over the years inflation reduces the actual buying power of the amount being paid to you. 4. You lose control of the money...you can't get it back once you annuitize. I suggest that if you do consider this kind of product you go to a low cost vendor like Vanguard. And, while your age is good you might want to wait for higher interest rates. Careermentors -- this is strange that Medicare can't respond to this question. I routinely see clients with retiree medical for whom their coverage becomes a supplement to Part A once they retire, taking the place of Part B. I'd recommend calling a rep for a Medicare Part B supplement company (yes, an insurance expert) to see what their take on it is. I'm thinking of getting a revocable trust and was wondering how dividends are taxed through the trust and how would those dividends affect Medicare? Annuity Allocation - Financial Symmetry, Inc.
PND, all income received by the revocable trust flows through directly to your personal return. So for taxation, having the trust doesn't make any difference. I see these used in many instances where they are not really needed. The biggest benefit is that they avoid probate which can be very costly in states like California. Also, they provide agents/guidelines in the event of your incapacity. The latter can be easily addressed with a power of attorney and an Advanced healthcare directive/living will. The link provided earlier did not answer my question. If I turn 70 1/2 in the month of December, I understand I must make two rmd's the following year. Are both rmd's based on the same year end account total or is the first rmd based on prev year total. Example: 70 1/2 Dec 2018 is first rmd in 2019 based on acct total end of year 2017? Steve, I am looking on the IRS site for a good example. Steve, if you wait until your Required Beginning Date (RBD), which is April 1st of the year FOLLOWING the year that you turn 70 1/2, then yes, you have to take out two years' worth of distributions. But not if you take it before then. But if you do wait until your RBD, then those two years' of distributions are based on that year's previous December 31st balance. So if your RBD was 4/1/2016, you'd look at the December 31, 2015 and Dec 31, 2014 balances and the divisor for your age in those distribution years. I am trying to decide between Schwab, Fidelity and Vanguard to roll over retirement account. I have a couple of small inherited iras with Schwab and Fidelity but am hearing good things about Vanguard. The local office of Schwab makes it attractive too. I am now with Alerius. Steve, Delia gave a good answer. But I suggest you consider taking the first RMD in the year you ARE 70.5. You can run some scenarios with your accountant but spreading the amount over 2 years might reduce your tax bill and/or the taxation of your social security. It could go either way which is why it would be good to run the actual numbers in early Dec, 2018.
re: Use of revocable "living" trusts -- Bobbie makes a really good point about how to use of trusts varies by state. Here in California attorneys definitely recommend them for people with real estate, for example, or anyone who wants to avoid probate, because our courts are really backed up and probate can take at least a year and cost $12,000 - $15,000 or more in probate fees. So if you move from one state to another be sure to check with a local estate planning attorney to see what is recommended in that state. Steve -- Bobbie made an excellent point about running the numbers. You don't want to find out that taking those two distributions in one year kicks you into another tax bracket and/or reduces what you net from Social Security. Karen, Vanguard is always a good choice for low cost index funds and if you are managing the investments yourself. If you are working with an advisor they may have good, low cost options available through their custodian as well. Discount Online Brokerage Reviews, Ratings. Stock Trading Firms 2015. Online brokerage reviews. Discount broker ratings 2015. Stock trading firms, investment accounts, and US IRA companies rankings. We love Vanguard around here but it can be a little difficult to maneuver as they set it up so the Vanguard funds re in one sub account and ETFs, other funds are in a brokerage account. You say that you have visited with the Schwab office. Many people like "clicks and bricks" which are companies with a strong online presence AND a local office with a real person you can talk to. TD Ameritrade and Schwab are both "clicks and bricks" shops. I have 7 mortgaged rentals and a personal residence also mortgaged. I am only cashflowing about $1200/mo from the rentals. I would like to build the savings up to around $50K for cushion/emergency fund. My question is should I pay additional money toward the personal residence to pay it off asap, or should I send extra money to pay off the smaller rentals and start the snowball rolling? My concerns are increasing ARM interest rates, tax deductions, and building up the emergency fund. Or should I save the money and purchase more rentals? My goal is to have the rentals paid off and replace my earned income in 10 – 15 years. I am 45 and would really like to be able to retire at 55. In Georgia probate only costs about $500-$1500. So different depending on where you are. NotRichYet, Are you also maxing contributions to your 401k and Roth IRA accounts? Tax deferred 401k contributions would be a good way to reduce taxable income and boost retirement savings. You will also be eligible for an additional $6k/year in contributions when you turn 50. Your situation sounds fairly complex and would be best addressed in the context of a comprehensive financial plan. I would contact a planner through NAPFA. NotRichYet -- You definitely need a planner to help with this. Ideally you'd lay out a plan that includes regular rent increases, evaluation of properties (hold/sell decisions), and a plan to build up that emergency fund. I also like to see people with rental properties keep a separate bank account for those rentals and treat them like the business they are. My gut tells me that you may have over-extended yourself on rentals and may need to consider selling one of them. But do see a planner to review your portfolio. We are 51 and have a little over $1M put aside for retirement. 2 online calculators from investment firms where we have accounts recommend a $0 savings rate to meet our goals. We currently max 1 401k (with 6% max) and 2 Roth IRAs. Should we really consider saving less? That seems like counterintuitive advice. Hello Notrichyet. As you said, "but you will be." Such a good start. Your question is very complicated for a forum like this. I, too, am a little concerned about the ARMS and suggest you consider getting a fixed rate while the rates are relatively low. Rentals can be a great part of any retirement strategy (and I use it myself). Do remember that if you ever sell, you have to recapture all that depreciation which is giving you such a great tax advantage now. But if you get them paid off and hold them for a steam of income....well, it is a beautiful thing. If you want to build up your emergency fund.....a boring but often a blessing in bad times, make that your priority. And spend some of that cash flow to go over this with a planner. Many work on an hourly basis and I'm sure you would consider it money well spent. Anne, I agree that you should not consider saving less without a deeper analysis of your situation. Online retirement calculators tend to be rather simplistic and not take into account all of the potential changes that life can bring. Continuing to fully fund your 401ks and Roth IRAs buys you additional insurance for your retirement years and lends great flexibility to your situation in terms of managing your tax bracket down the line. It sounds like you are in fairly good shape. A financial planner could likely help you take advantage of some additional tax planning/savings strategies that would improve your situation further. Lon Jefferies, CFP with Net Worth Advisory Group in Salt Lake City, Utah, signing and looking forward to contributing to the conversation. Thanks for having me! www.kiplinger.comCandidates aren't hard to come by. Here's how to find the right one for you. Anne, you have an interesting situation. Online calculators are good tools but they often don't take important nuances into consideration. The goal is to make sure you have taken care of the future you. But once that is done, why not spend more on the current you (as the future is never certain)? It is always a joy when I meet with clients and get to tell them that their future is set and they can increase their current lifestyle with no worries. I strongly suggest that you go get a good plan to make sure you are in good shape. If so "bon voyage." Being a good saver is a wonderful thing but it can be mental trap. Some people have trouble changing good habits which have served them well even if they can. Good luck! My wife and I are recently retired, ages 63 and 60, both with defined benefit retirement plans. In addition to these we have $2.3 million in taxable retirement accounts. What is the best advice to lessen federal income taxes when we begin to draw from these accounts? Anne, the answer to that question depends on a lot of factors, as you probably have discovered through the online calculators. If you change 1 variable, even if it's a slight change, it can DRASTICALLY change the output and recommended savings rate. With that said, saving 10-20% of your income is a good target for most folks to shoot for throughout their working careers (including the employer match, assuming you're 100% vested). I've heard anyone reach retirement age and say, "I saved too much." Even if you're the exception to that rule, you can always consider some charitable giving options during retirement in order to give away some of that "extra" money. 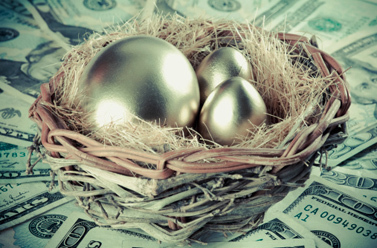 Robin, Depending on your current tax situation you might consider converting some of your traditional IRA/401k assets to Roth. The Roth IRAs will grow completely tax free, withdrawals will be tax free, and the balances are not subject to RMD. This is typically most attractive to do early in your retirement years before you have started social security income and RMDs. A financial planner or CPA could help you look at a tax projection to determine the amount to convert annually from traditional to Roth. Robin, you should go map out a strategy with a planner as some good strategies might be counter intuitive. For instance, we all hear you don't want to take money from your retirement accounts until you have to (age 70.5). BUT you and your wife are retiring early and may not have significant taxable income. If so, why not start taking distributions now if they might be taxed at a lower rate? You don't have to spend the distribution just because you take it....you can put it in a taxable account. Also, I have some early retirees who, if they don't take distributions, can actually get healthcare subsidies even if they have a good balance sheet. There are lots of moving parts. I am confident that getting a good plan will make all the difference in how you feel about your future. Hi Robin, I'd need to know a little more about your entire situation to fully address the question, but the first thing that comes to mind is the ability to harvest annual capital GAINS in your taxable accounts. What tax bracket is your pension benefits currently placing you in? If you are in the 15% federal tax bracket (taxable income of less than about $75k), you have the ability to recognize some annual long-term capital gains at the 0% tax rate. This could help minimize future capital gains tax liabilities in the future. For instance, if your current taxable income is $60k, you could actually purposefully recognize about $15k of long-term capital gains each year and pay 0% in additional taxes. This will help raise the cost basis of your taxable account and lower future tax obligations. Allison, You seem very wise. Can you tell me if you would recommend a Gold IRA? I saw a pamphlet about it at my workplace, and it sounds like a real money maker. Robin, I love Allison's idea about the Roth conversion. But as you can see from all of our answers, there is a lot to consider. Robin, to expand on Bobbie's input, you might explore the option of delaying your Social Security benefit until age 70, and utilizing distributions from your retirement accounts to live off until you hit that age. This will help reduce your required minimum distributions once you reach age 70.5. Thanks to the advisers who have been taking questions for the past couple of hours! We're in the home stretch now! With us now are Delia Fernandez, Tyler Gray, Scott Draper, Bobbie Munroe and Lon Jefferies. Welcome! I would like to know if I can sell a rental property and exchange it for a condo for my daughter without paying capital gains on the sale? Hi Phil, sounds like you want to speak to a financial planner and an accountant about a 1035 exchange. A 1035 exchange enables you to sell a property and re-invest the proceeds of that sale into another property without recognizing capital gains. Of course, you will still have to pay the capital gains down the line when you sell your new rental property, but it is a way of kicking the tax can down the road a bit. Phil, an exchange allows for trading like kind properties and defer the gains tax. Now, that means trading a rental for a rental but alas it does not mean trading a rental for a condo for personal use. Now, if your daughter OR her roommates do pay rent, an exchange could work. The rules are very specific so be sure to consult with a CPA.